To celebrate our longtime love for our favorite holiday, we decided to set the prologue of Book One: Trial by Fire on Halloween night! 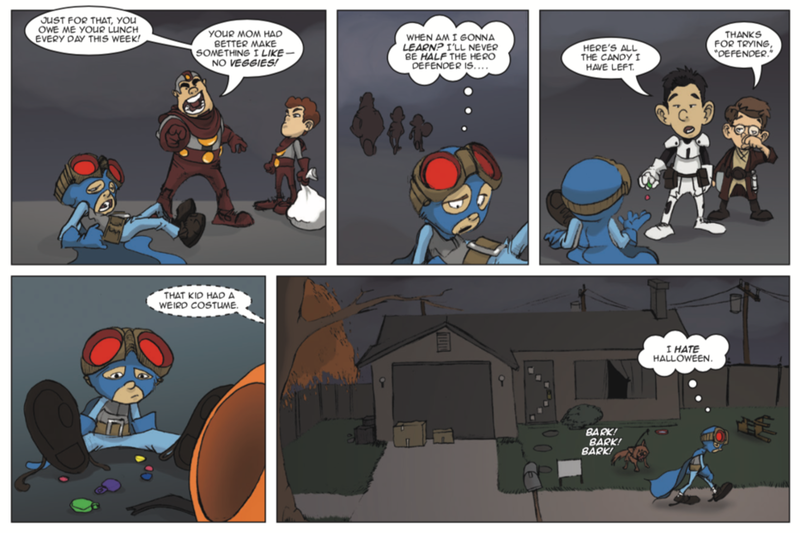 In this excerpt, Andrew (dressed in a homemade Defender costume he would later wear as Smash) discovers it isn’t easy being a hero. We hope you all have a much more successful night of trick-or-treating than Smash!